Can Orthotics Improve My Golf Game? Foot Expert Discusses Benefits of Orthotics in Golf Game. Orthotics Insurance Coverage Explained A good pair of orthotics can be extremely helpful to a patient suffering from foot pain. We are here to help you with your insurance and orthotics! Many golfers today would do almost anything to improve their golf game. Often that means buying the latest and greatest golf clubs, which also tend to be the most expensive ones. We buy the golf ball with the “soft feel” or the one that is “extra long” so we can play like “Lefty.” And of course don’t forget the clothes, because looking the part has to improve our golf game. While equipment and the confidence we achieve from wearing that Tiger red shirt can make a huge difference in our golf games, we tend to forget the fundamentals. I remember my first golf lesson many years ago, I was taught to remember the acronym GASP: Grip, Aim, Stance and Posture. While grip and aim have nothing to do what is in your shoes, stance and posture can be improved with orthotics leading to longer distances off the tee. In a study published in 2000 in the Journal of Manipulative and Physiological Therapeutics titled, “Effects of orthotic intervention and nine holes of simulated golf on club-head velocity in experienced golfers,” the examiners investigated the effect of orthotics in the experienced golfer before and after playing nine holes of golf. They determined that custom made orthotics increase club head velocity by a total of 3.5 miles per hour. That may not seem like much, but this resulted in 15 more yards of ball flight in the air. 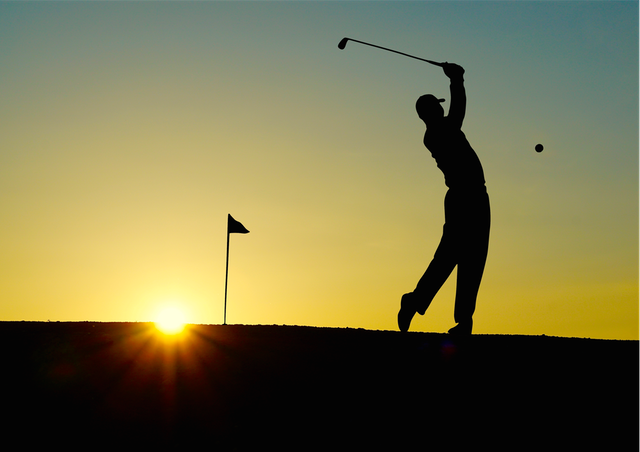 Fatigue was also reportedly reduced in those golfers wearing orthotics which should improve overall performance through a round of golf. The reason why orthotic use resulted in less fatigue and greater distance was not determined in the experiment, but benefit was likely due to the following advantages that orthotics provide. Improvement in overall balance and stability. Reduction or elimination of painful pressure points that develop during nine holes of golf. These 3 advantages of orthotics can translate into improving on those fundamentals of stance and posture. While custom orthotics are not guaranteed to make you a scratch golfer their usefulness in reducing fatigue and improving posture and stance has been well established. While it’s fun to putt for dough, 15 more yards of carry over the water makes for a great show.